It’s fair to say that shirts are an addiction of mine. Some sartorialists choose footwear as their vice, others nearly bankrupt themselves through repeated visits to Savile Row. I have even known one man to be utterly besotted with socks, so much so that he had an entire six drawer chest full of them. I am pretty attached to ties, I must admit. But shirts are a greater extravagance. I always flit from selecting basic whites and blues – using utility as an excuse – to chasing after French collars, unusual stripes, greens, yellows and pinks. My collection now has its own, overstuffed cupboard and, due to the hanging arrangements, it is nearly impossible to keep them neatly maintained; a good once over with an iron is always required of a morning. I was introduced to the pleasures of shirts by my father, who has himself, a formidable collection. 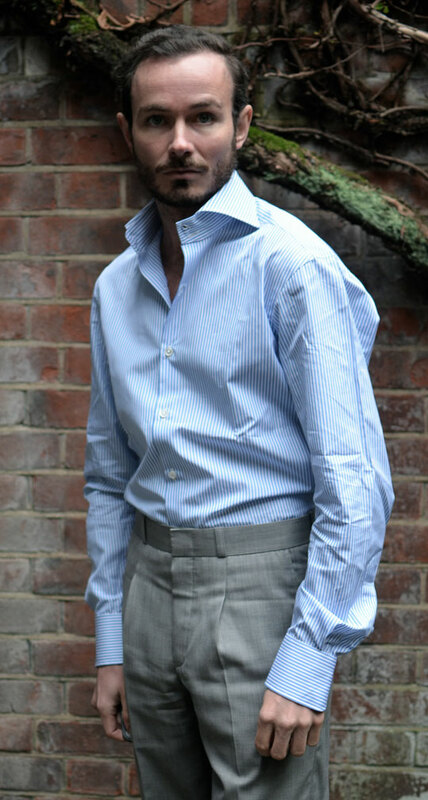 He emphasizes the important facets of fine shirting, paying particular attention to collars. He often points out ‘weak collars’ of newsreaders or politicians; curving at the tips, asymmetrical, poor stages for fine tie knots. I have consequently paid enormous attention to collars, ensuring they are starched, stiffened and substantial. The latter word is certainly one I would use to describe the collar on a Sebastian Ward shirt. There’s something superior and UHNW about this collar, something Dragon’s Den-like. I put it on and instantly felt I was just about to be nasty to someone about their radical idea for dog onesies. Sebastian Ward is a classic story in modern menswear: a brand borne of frustration. Indeed, everything about the Sebastian Ward shirt speaks of its founder’s frustration with other shirts providing function or form – but not both. The 3.1mm Mother of Pearl buttons are milled to be easy to manipulate through a button hole; the tail is a traditional length to sufficient for the ‘tuck’ when seated; the sleeve length is generous for comfort but the cuff slim. 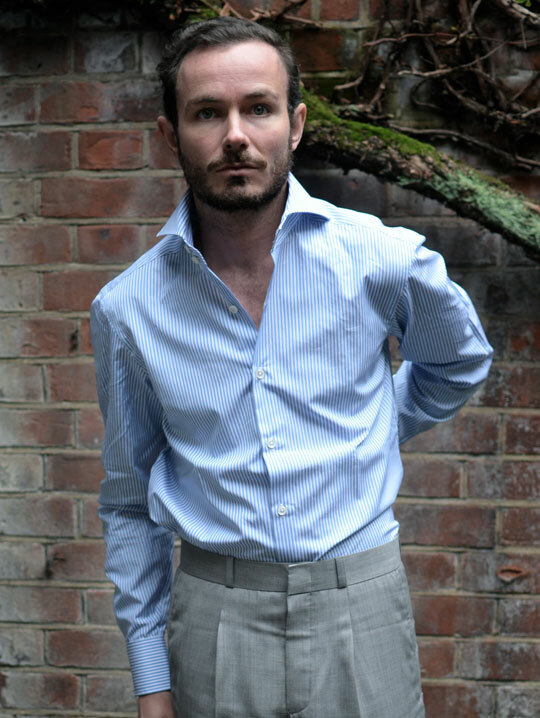 Like many premium shirt brands, Sebastian Ward use the mighty Lancastrian Thomas Mason’s cotton, which is deliciously smooth. 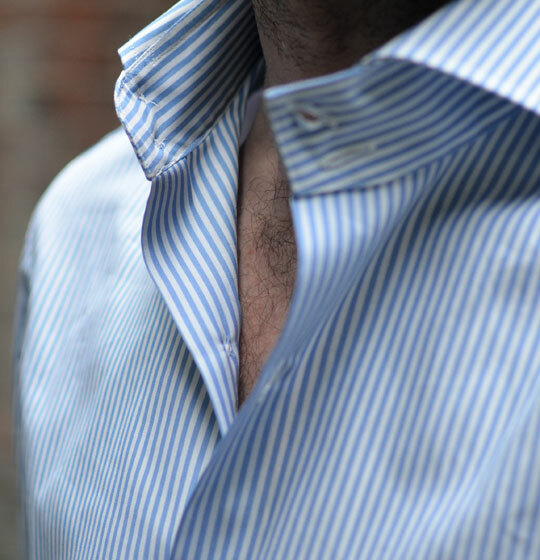 With it’s comfortable fit and high, aristocratic collar band, it feels like a combination of an 18th century lawn shirt and a modern Italian. If I had to pick a standout feature of this shirt, it would be the collar. For one thing, it’s huge, but not comically so. Secondly, it has a beautiful roll that is majestic with or without a tie. At $175, this shirt isn’t cheap but then it isn’t designed to be. This is a small brand that caters for a discerning group of men who believe that elegance and comfort should come in the same package. As Christopher states; “The reality remains that athletic men are seeking a flattering, yet practical fit that will reliably stand up to their daily physical requirements.” Having ripped the seams on a shirt with the attractive but impractical description of ‘Extra Slim Fit’, I think I know what he means. Shirt suits you. The collar is a bit too ‘Italian’ for me; by which i mean, agressively spread, but YMMV. Nice shirt but a bit pricey ! Can you speak to the design of the cuffs? They look excessively long, akin to a child wearing his dad’s shirts. I’m sure it’s part of the design, but that doesn’t strike me (unless I’m missing something obvious) as a selling point of a shirt, as it looks to be a feature I would likely pay to have adjusted, similar to a RTW shirt. The rest looks fantastic though, especially that collar! Cuff comes too far onto (falls too far down) your hand, making it look like a boy with father’s shirt, in my view. 1. We have extended sleeves to allow for more movement without restriction. 2. To combat this extra sleeve length, we have tight cuffs with a high buttoning point which can be “locked” to you wrist to keep the sleeve from extending over your wrist. That said, in our first product the sizing has been targeted for an “Athletic Fit” and thus if you have shorter arms you may benefit from either moving the cuff button over 1/8th” (which we’ve left room for) or tailoring the length of the sleeves slightly. The fit of the shirt looks awful. The sleeves are far too long and it is too big around the arms and waist. 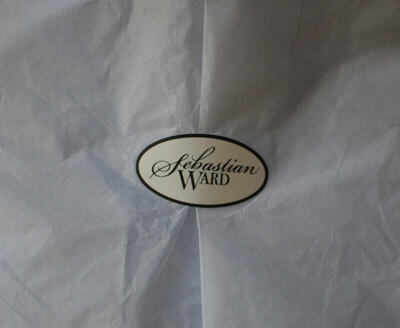 Due to being a new brand, we are currently only offering sizes 15″ – 17″ neck in an Athletic Fit (for more on our fit see: http://www.sebastianward.com/pages/fit-manifesto-athletic-fit-italian-dress-shirts). Winston doesn’t exactly fit our current profile perfectly but was kind enough to review our shirt based on its other features. We’re working on offering more fit profiles. ‘The sleeves are far too long and it is too big around the arms and waist.’ ……..